According to the International Trade Centre, in 2005 the United States imported $494,477,000 worth of explosives and pyrotechnic products, or 24% of the world’s total. 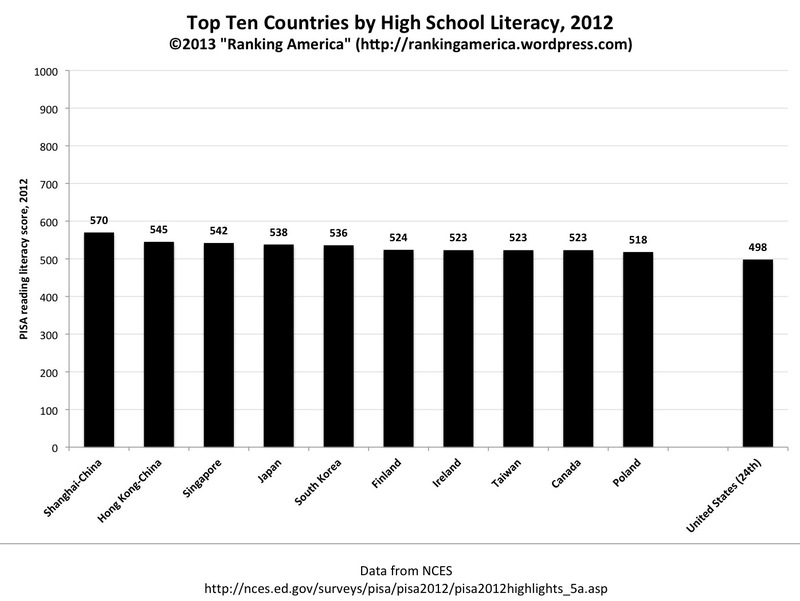 That was enough to make the United States rank first in that category. 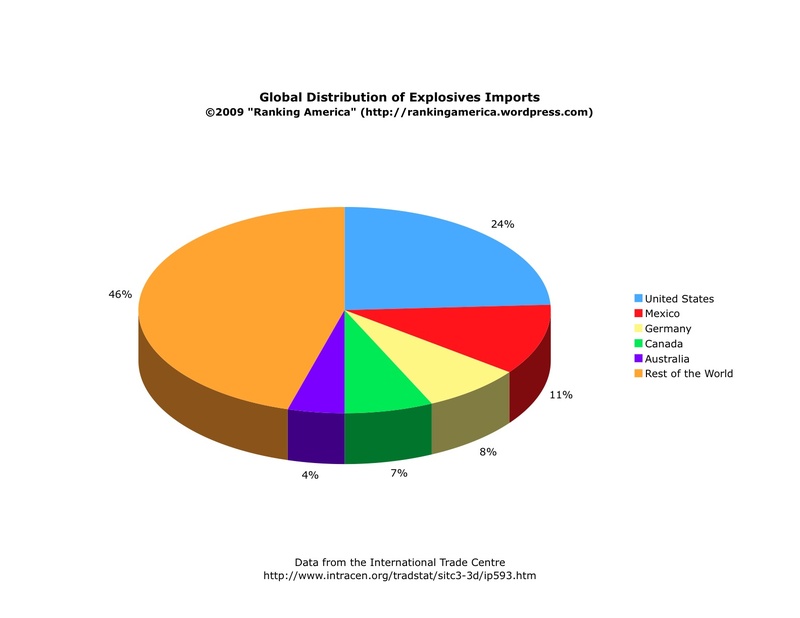 The top five countries–the United States, Mexico, Germany, Canada, and Australia–accounted for 54% of the total explosives imports. According to the United Nations’ publication, International Migration 2006, in 2004 there were 421,000 refugees in the United States, which made it rank eighth in that category. 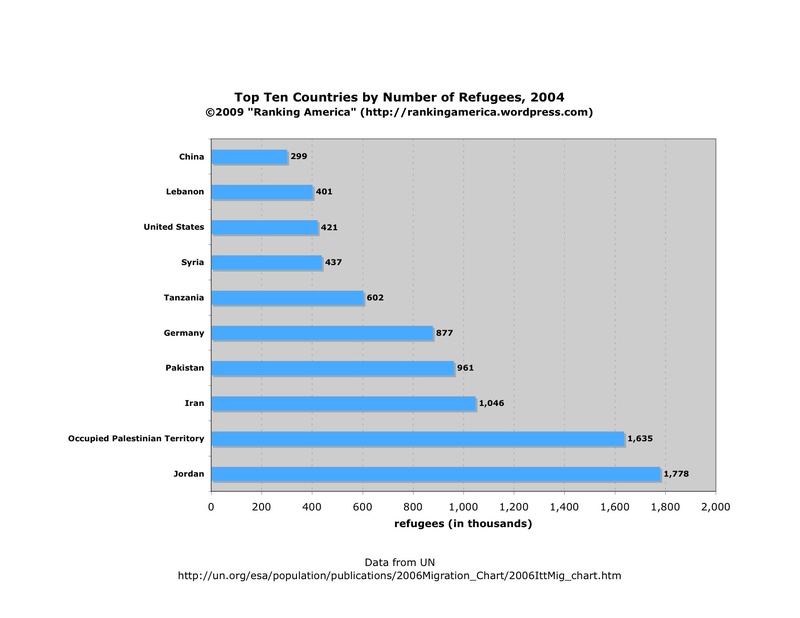 Jordan ranked first, with 1,778,000 refugees. 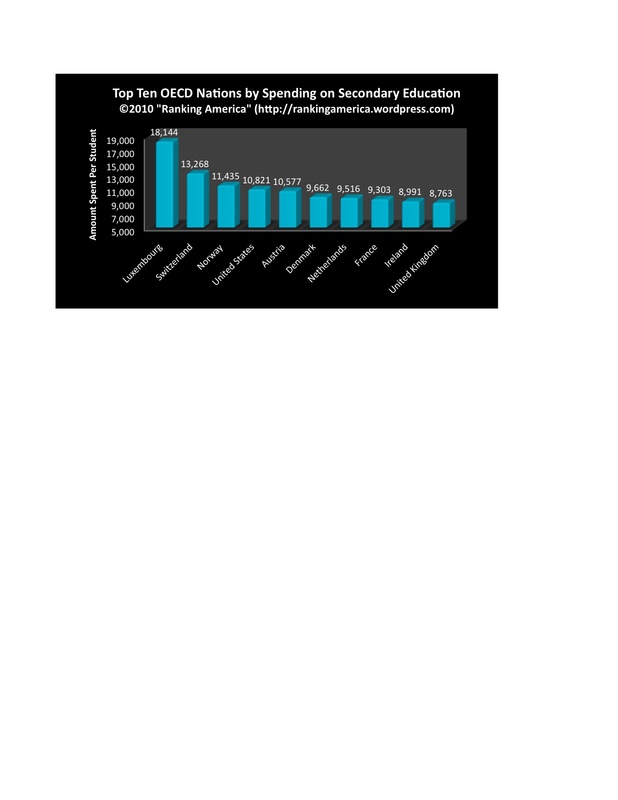 According to the Global Footprint Network, the United States has an ecological deficit of 4.4 global hectares per capita, tying it for third with Israel in that category. Kuwait and the United Arab Emirates are tied for first, with an ecological deficit of 8.4 global hectares per capita. On the other end of the scale, Gabon has the greatest ecological surplus at 23.7 global hectares per capita. As a whole, the world has a deficit of 0.6 global hectares per capita. 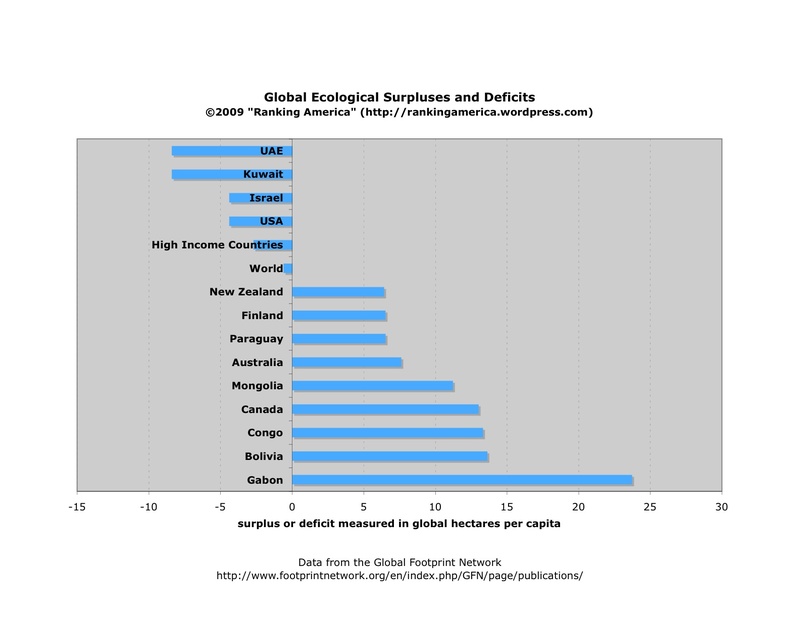 Taken together, high income nations have a deficit of 2.7 global hectares per capita. According to Reporters Without Borders, in 2008 the United States was tied for thirty-eighth in terms of press freedom. 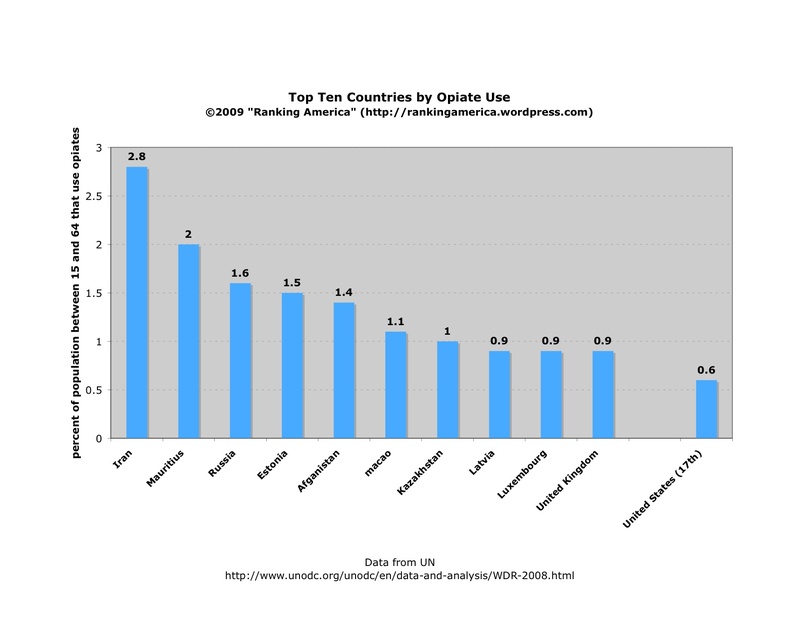 The countries it was tied with are Bosnia and Herzegovina, Cape Verde, South Africa, Spain, and Taiwan. Iceland, Luxembourg, and Norway were tied for first. 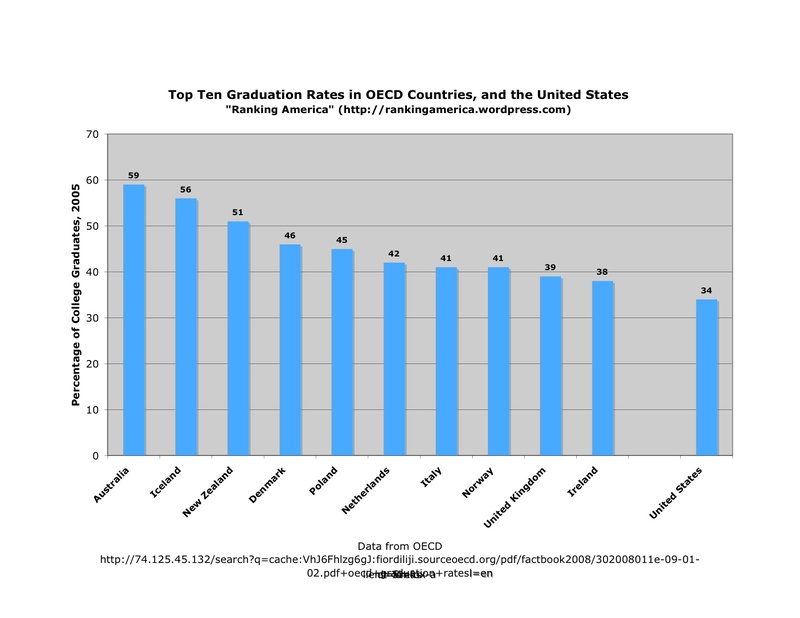 Compare the ranking here with this one previously posted. 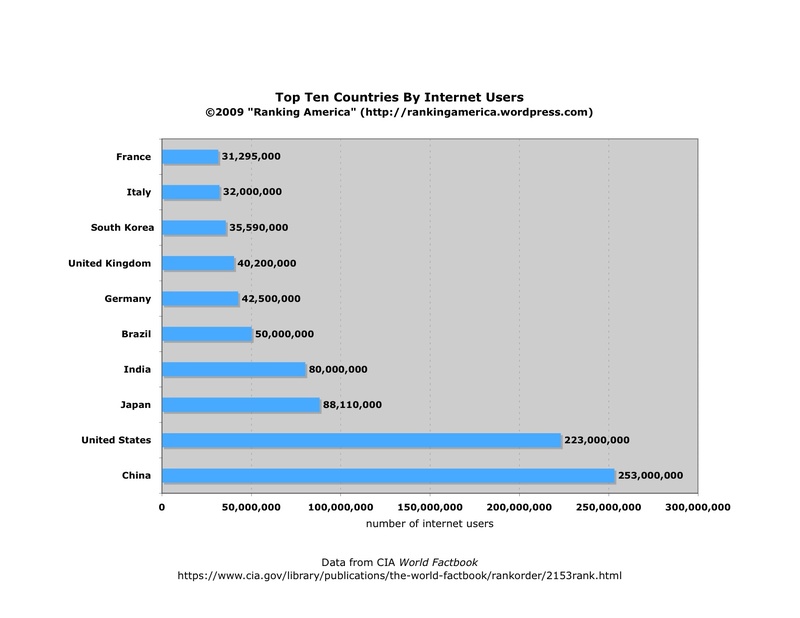 According to the CIA World Factbook, the United States ranks second in internet users. 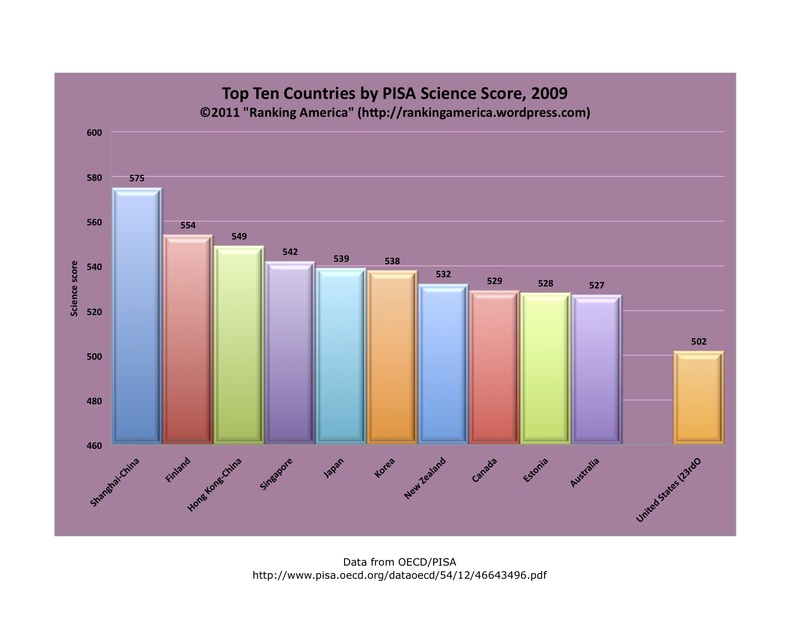 China ranks first. However, a far greater percentage of Americans (73%) than Chinese (19%) are internet users. 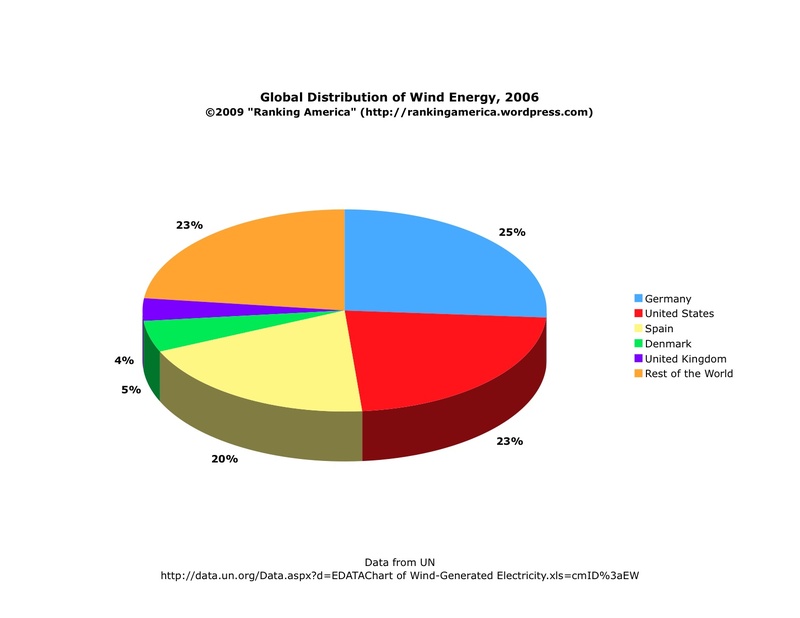 According to the United Nations, the United States produced 23% of the world’s electricity generated by wind, which made it rank second in that category. 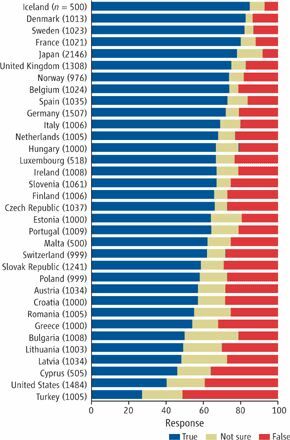 Germany ranked first, producing 25% of the wind-generated electricity.